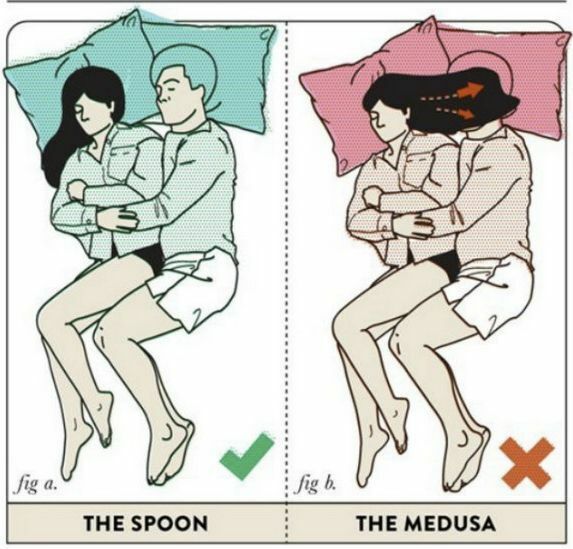 Well, if you have long hairs and you are a cuddly-sleeper, then it is better to have your hairs in front of your shoulder. It will make your partner more comfortable while sleeping. If you want to keep your partner in your arms while sleeping, do it without choking her neck or putting your hand on her face. 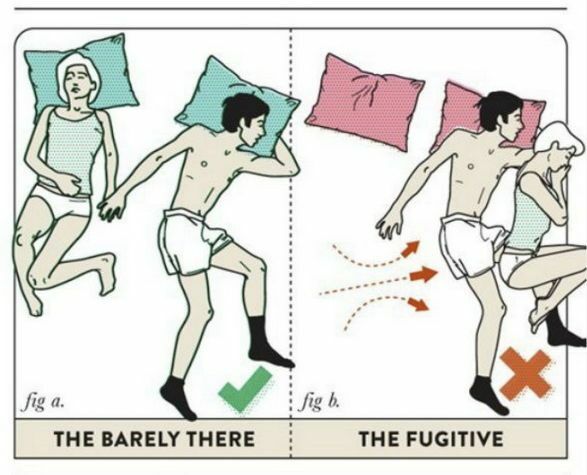 If she prefers to sleep on the edge of the bed without wanting to get cosy respect that and give her that space which she needs, rather than jumping from behind and cramping her for room. Sleeping with a baby in the bed is never easy. You will have to lose your sleep for a first few years, so try sleeping during the evening if you can! If you are going to have a pet sleep in your bed, make them sleep towards your feet else they will take up the entire space. Plus their little “accidents” will surely wake you up. Hence, it is always advisable to make them sleep in their own pet house.